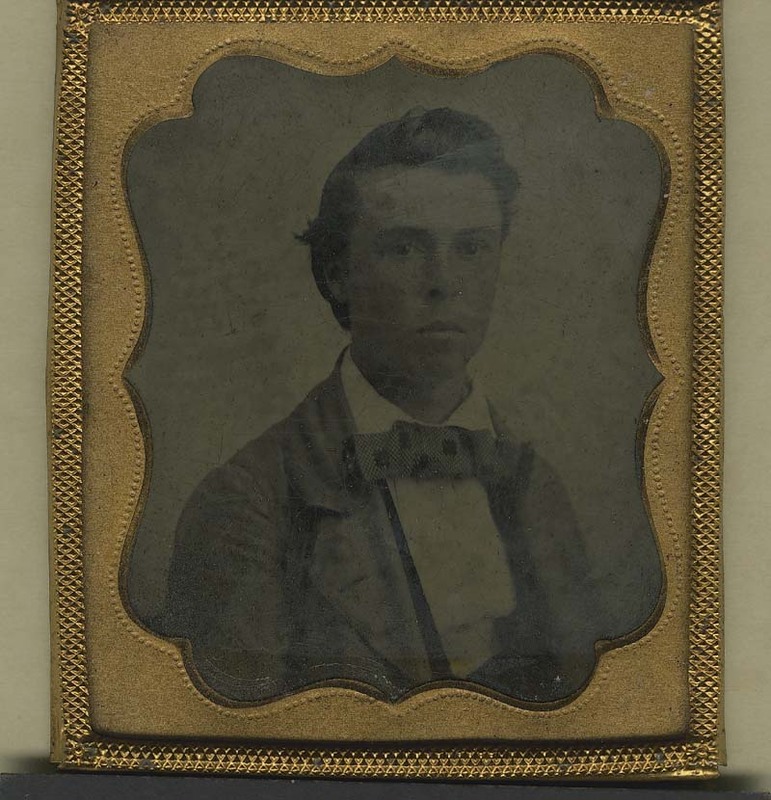 Patrick Laughlin’s testimony gives one an idea of how the Kansas Legion established encampments: sending men along with sealed books that they would open and use to swear in other men. When they had enough to make arming them worthwhile, they could see George Washington Brown of the Herald of Freedom for letters of introduction to take back east and trade for guns. But by his own admission, Laughlin did not stay in the Legion long. His stated aversion to its secret society trappings further probably meant that his friends at Doniphan neglected to share the full ritual panoply with him. All in all, Laughlin’s testimony sounds like that of a man suckered into the affair. He sounds like a fairly simple, plainspoken man. Perhaps he believed too much in the good faith of his fellow antislavery Kansans. Maybe he didn’t possess the sharpest mind on the prairie. He might have just fallen prey to the singularly gifted deceivers. Reeder could have got a great many more votes if he had canvassed the Territory, while, for my own part, I did not think he was a gentleman or any part of a nice man. He asked me to why; and I told him I had written some four or five letters to Reeder, upon different subjects, seeking information, and could get no answer to them, and I thought if he had been a gentleman, or anything like it, he would have answered them. I may have spent too much of my youth watching forgettable situation comedies of the 1980s, but I suspect that one needn’t spend that time as I did to see where this had to go. Francis harangued Andrew Reeder about the generally low character of Andrew Reeder. Whether Reeder wanted to strangle Francis or struggled to contain his laughter, Francis does not say. After introducing himself, Reeder explained that he had only one letter from Francis and that just arrived. This must have smoothed over some of the awkwardness, since Reeder and Francis then shared a meal and walked around Lawrence, talking politics. Had someone scheduled two dates for the same time, I suspect an aerial pastry exchange might have ensued. That lack, however, put him well within the free state mainstream. Once Francis and his party ascertained that the larger free state movement comported well with their own aims, he happily joined in. That happiness would not long endure. There are 1,100 coming over from Platte county, and if that ain’t enough we can send you 5,000 more. We came to vote, and we are going to vote, or kill every God-damned abolitionist in the district. then Laughlin also placed his accusation in a rather later context. 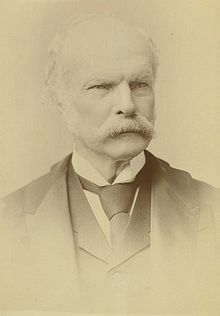 He had not even come to Kansas in March of 1855, when Atchison and his army of border ruffians, weighed down with alcohol, guns, and two cannons, made the speech Cutler reported. “We are organizing,” he told Jefferson Davis. “We will be compelled to shoot, burn & hang, but the thing will soon be over. we intend to ‘Mormonize’ the Abolitionists. Though written by Stringfellow, the association in general read them and voted them official approval. Atchison likely cast one of those approving votes and certainly could not have missed the document’s writing or circulation. If not quite his own, then they had to have met his approval. Atchison might not have said exactly what G.A. Cutler recounted, but he had said things like it. By his actions he proved that he had no objection to coming over with armed bands to steal Kansas elections. He can’t have come thinking the guns merely an esoteric fashion accessory. The Cutler quote fits Atchison’s politics, his general mode of expressing them, and indeed the general tenor of other border ruffian proclamations. While we cannot say with perfect certainty that Cutler had it right or recalled the words verbatim, it seems far more likely that Atchison said them than that he did not. If he happily told a former Senate colleague and then-current Secretary of War that he proposed to shoot, burn, and hang every abolitionist in of Kansas then why should we think he would scruple at saying the same thing to a band of men committed to the same cause? Eastern newspapers sent correspondents to cover the troubles in Kansas Territory and to them we are indebted for colorful writing. There may be invented dialogues in this book, invented quotations, even invented appraisals of the Kansas weather and the Kansas countryside, but, if so, they are the inventions of the reporters and diarists who lived a hundred years ago. To these vivid writers, I wish to express my gratitude. As do we all. But Patrick Laughlin’s testimony on free state men exaggerating their accounts comes to mind as another possible instance of invented quotation. Laughlin named Dr. G.A. Cutler as one of those. when I procured the statements of “free State men,” it was the last of September or first of October. I reduced them to writing, except Dr. Cutlers; and I am not certain whether that is or not. I went to them to solicit their statements, except in and about Doniphan. I reduced them to writing as they told them to me. They were not sworn, as I understood. There are eleven hundred men coming over from Platte County to vote,” [Atchison] told his followers, “and if that ain’t enough we can send five thousand-enough to kill every God-damned abolitionist in the Territory. McPherson found Atchison’s line from Allan Nevins’ Ordeal of the Union, who had it direct from the Howard Report. William W. Freehling uses it in The Road to Disunion, Volume Two: Secessionists Triumphant as well. A great deal of the research that goes into this blog comes from chasing quotes like this through the footnotes to the original. Now we know that G.A. Cutler, who quoted Atchison, could stretch the truth. We have it direct from Laughlin, who counts him among the free state men he knew to have done so. This throws the Atchison quote into some question. Did Cutler make it up? He might have, but I don’t think so. I cannot claim certainty, but I see two good arguments for the quote’s general accuracy, the first negative and second positive. 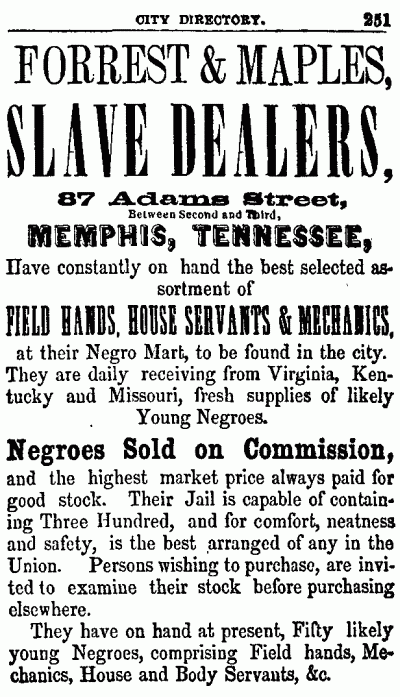 These statements were got to give information as to the contest between Reeder and Whitfield for delegate, and also to injure the pro-slavery cause. While that doesn’t require Laughlin’s informants to confine themselves to the subject, it puts his information into that context. Cutler has Atchison coming over and sounding off his murderous ambitions in March of that year, on the occasion of elections for the Legislative Assembly. Thus one can’t take his claims of exaggeration as necessarily speaking to events much earlier or more remote than that election. They may include such remarks, but it appears they did not concern him specifically. Also on this front, Laughlin’s examples of exaggeration concern numbers and armament of Missourians, rather than specific words or deeds. If he knew for a fact that his sources put words into the mouths of prominent border ruffians or invented acts for them instead of simply expanding the scope of what really happened, then Laughlin would have had every reason to share those cases with or in preference to those he did supply. I did not communicate my intention not to organize any more regiments to any one until some time in October, when I left the free State party and have since acted with the pro-slavery party. It sounds like Laughlin took it on himself to spy for the proslavery men. That may make his information especially useful, as he could give a fair account of the free State party men speaking unguarded. But it also means we have to take it with some care. By this point Laughlin also had a strong personal dislike for his informants related to their secret society activities. None of this entirely impeaches Laughlin’s account, but those concerns should qualify the natural impulse to generalize it from specific testimony around the delegate election. This has run long. The positive case for Atchison saying what Cutler claimed will have to wait for tomorrow’s post. the largest and most respectable portion of the free-state party condemned “the Kansas Legion,” and took no part in its operations. This, to Gihon’s mind, distinguishes the movement from the more integrated paramilitary activity of the proslavery side. Both parties knew how to burn a house, rob, and murder, but the free state movement wanted nothing to do with the Kansas Legion. Whatever their public statements, the free state political leadership convincingly demonstrated its disapproval through the involvement of such men as Andrew Reeder, Charles Robinson, George Washington Brown in organizing, arming, and leading the Legion. Geary wrote in 1857, long after Patrick Laughlin’s pamphlet of revelations and more than a year after he testified to the Howard Committee, published in 1856, so one wonders just how he missed the evidence otherwise. One might speculate that he knew full well to the contrary, as he certainly had the means to, but elected not to share. Suffice it to say that only Gihon himself appears to take the claim seriously. The two sub-committees that were appointed each side of the Kansas river, were to gather all the information they could which would serve to weaken the pro-slavery party. I being appointed a member of one of these sub-committees, and living further north, I exerted myself in gathering information in the north more than any of the others did, and did all that was done in the north of Doniphan and the vicinity around it. The information they gave me was very strong against the pro-slavery party. Someone on the Howard Committee asked Laughlin if his job included spreading false information about the proslavery party to weaken it. I was engaged by the executive committee in procuring statements to be spread before the public for the purpose of injuring the pro-slavery party. I went from house to house int he northern part of the Territory taking the statements of free State men, among whom was Messrs. Groomes, Brown, Jamison, and several others of the St. Joseph’s bottom. C.W. Steward, Richardson, and Hummer, out of the Territory; Richard Peck, Dr. G.A. Cutter, and others, of Doniphan; all of whom generally admitted to me that they were exaggerating their statements in order to weaken the pro-slavery party. they would see two or three men, some, perhaps, who had only canes in their hands, without any visible sign of other arms. From the fact that they saw them on the day of election coming from towards Missouri, they would state to me that they saw large numbers of armed men; some of them told me that they saw companies of from five to six and from eight to ten men, who would have shot guns, some of them; they would then state that they were armed with guns. If they saw a very large number, they always give the number as covertly as they could; but when a small number, they would say a number, or a large number, as a general thing. I never chided them for making these statements, but they generally said that although the statements might be construed to mean differently from what the true facts were, they would be easy. It was not a part of my duty or instructions, as a member of the committee, to collect either false or exaggerated statements of facts. Laughlin’s conclusion there left my scratching my head, but he then emphasizes that he does not believe any of the statements he recorded ever received publication. So he heard and passed on statements he knew at least stretched the truth, but that he considered himself in the right as they had not to his knowledge gone into general circulation. I have written before of my concern over the slaveholder’s lexicon, the ways in which historical writing and speaking can through the use of particular tropes and diction shape our understanding of the past in various ways. To call a person a fugitive slave or a runaway expresses a fact about that person, but expresses it in a way that carries an implicit condemnation. We don’t generally admire fugitives. Children run away. Whether we mean to or not, we have adopted the language of the slaveholder. That does not make the language necessarily inappropriate or unacceptable, but if we use it then we should use it with the awareness that we speak specifically of a particular reality constructed at the time and not necessarily in the same way as we would refer to past murders or other crimes that we understand more universally and more applicable to the present. I used another at least somewhat problematic term in all the previous: slave. I don’t think that we will or should banish it from our vocabulary, but slave does not serve as a profession name like doctor or farmer. It refers to an imposed status. One can have farmers without anything save necessity compelling them to the task. Nobody makes doctors doctors any more or differently than members of other professions gain their titles. If their status comes from without, it also comes from a kind of personal choice that slaves, at least in the context of the Atlantic world, by definition do not have. Slaves became slaves because other people imposed that status on them. The condition of slavery arises from the act of being enslaved. Slavery necessarily suppresses the person of the victim, most obviously in denying to the enslaved person the agency with which we prefer to lead our own lives. It stripes from the slave the ability to control their lives right down to the most basic levels. The slave has no ties that others must respect. The stroke of a pen or the pounding of an auctioneer’s gavel could separate friends and family, never to meet again. They could in a moment carry one away from all one knew, all the familiar comforts of home, across vast distances in chains to strange places that one had grown up with good reason to fear. The lash, cudgel, gun, and bloodhound replaced family and friends, hope and dreams, as the dominant influences in one’s life. If a slave could have moments of stolen joy, alone in the quarters with whatever bonds they could forge in their adversity or the quiet moments of knowing that one had resisted in a multitude of ways, then every morning brought the end of peace and beginning of pain and terror once more. Words can carry multitudes within them; they must for language to work at all. But the very simplicity can obscure important realities even as it describes. Simply calling a bondperson a slave can make it an isolated fact, one that just somehow rose up out of the earth or fell down from the sky full-formed as if from the laws of physics rather than the laws of people. 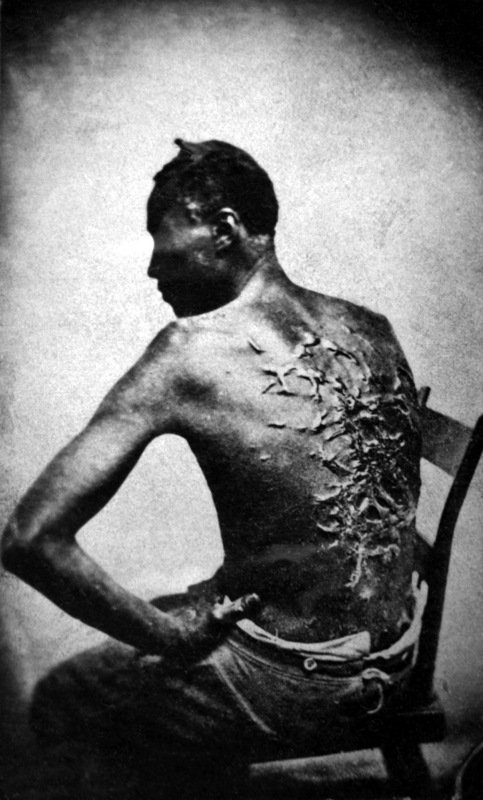 “Slave” tells us the status of a person, but does not invite inquiry into just how that person gained that status. “Enslaved person” both reminds us of the humanity of the person, makes slavery into a verb. Thus one naturally asks who enslaved this person? Why? The phrasing reminds us that slavery operated as a vast social, legal, and economic system in its own way as all-encompassing as democracy, communism, or capitalism. It took not just one enslaver, but multitudes who together imposed slavery upon the enslaved. We should look at the results of their work, but it serves us well to keep in mind that it did not have to happen. Enslavers chose to enslave and steal for themselves great fortunes and, beyond that, the foundation of the modern capitalist order, from the bodies and lives of their victims. Furthermore, “slave” unadorned conveys an impression of stasis. If one’s status as a slave comes fixed, and it usually did in the antebellum United States, then one can take that as such only so long as only the legal status comes under consideration. Legal uniformity conceals a great deal of diversity not simply in time and place, but also in the lives of individual slaves. Enslaved people in the Chesapeake in the early nineteenth century feared the “Georgia men” who would buy them from their owners and march them in chains, constantly tugging at the neck because someone moved a bit too slow or too fast, down to that state and points further southwest. The Georgia men took them away from declining tobacco plantations where they and what families they could preserve had lived for generations and into the strange and often more brutal frontier where the measure of their lives would come down to pounds of cotton on a scale. Coming in too light meant whipping, a far cry from older, less industrialized forms of management that assigned slaves tasks for the day and let them work at something like their own pace with the hope of claiming the remainder of the time for themselves. I don’t know that we can or should banish the name slave from our vocabularies. People of the time, including the victims, used it to describe their own state. “Enslaved person” does not always make for the best or easiest to read sentences, which could in itself impede understanding. When I first read it in Ed Baptist’s The Half Has Never Been Told, I considered it a good idea that might try a bit too hard. But the more I became used to it the more I appreciated the work it did. Baptist also uses “slave,” just as he uses both “slave labor camp” and “plantation”, “enslaver” and “planter”. Using both terms in conjunction allowed for the necessary brevity without sacrificing complexity. I don’t think that the word choice taught me anything new in itself, but it did help me focus my attention more broadly on the system than I might have otherwise. Thus I better grasped the history of slavery Baptist set out to communicate and better integrated it with what I already knew about antebellum America. That might not work for everyone. Those more immersed in the study of slavery probably don’t require the help. Others might prefer more compartmentalized, particular understandings of slavery which sees the obscuring, stasis-oriented, and essentializing risks of the unadorned word “slave” as appeals rather than reasons to look for modification. I can only say that I got a lot out of it. I intended for this post to go out Friday but it appears that I forgot to schedule it. Sorry, Gentle Readers. 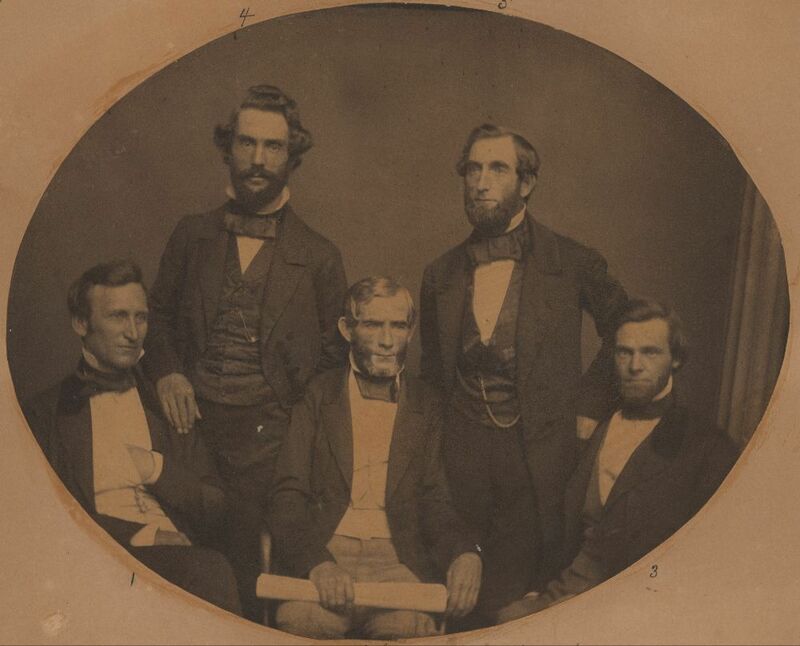 With the provenance of his knowledge and circumstances of his change of heart established, ex-Kansas Legion man Patrick Laughlin, re-converted back to his original proslavery politics, went on to tell the Howard Committee more of what he saw. He had already named Charles Robinson an arms smuggler and George Washington Brown at least a major facilitator. 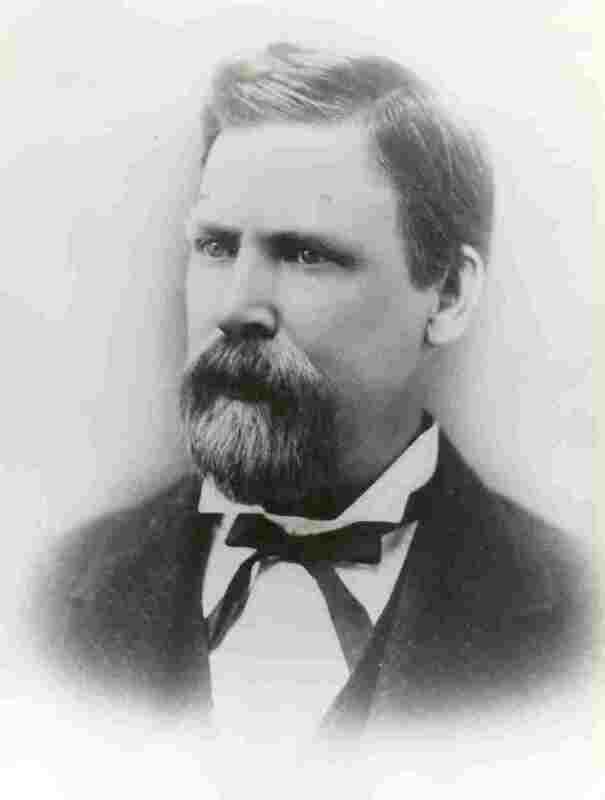 Brown also oversaw stockpiles of the arms Robinson smuggled into Kansas. When a Legion encampment had enough men, they should go to Brown for letters of introduction and so armed dispatch a delegate back East. Thus one could import one’s own firearms. When in Lawrence I was invited by a friend to go up into a private room to see the kind of goods they received from the east. I saw a box which they were opening, and a part of the cover torn off had “C. Robinson” on it. I saw in the box blue jackets and white pants, a drum and drumsticks. I inferred they were military uniforms, but no one told me so. They nailed the box up again with the goods as they came. I saw a large house building; it had port-holes in the top of it. I was told by G.W. Brown, Lowrie, Hutchinson, and Emery that the building was for the purposes of fortification. Per Laughlin, the Kansas Legion had guns, uniforms, and a fortified building. Those precautions look very wise in hindsight and must have seemed rather sensible even in the fall of 1855, after repeated lynchings and other proslavery violence. Who knew when Robert Kelley’s mob might take a day trip down to Lawrence? He’d implied that he might call on George Brown. Brown and Robinson make for rather prominent free state men to take part in the Legion, but Laughlin testified to another as well. 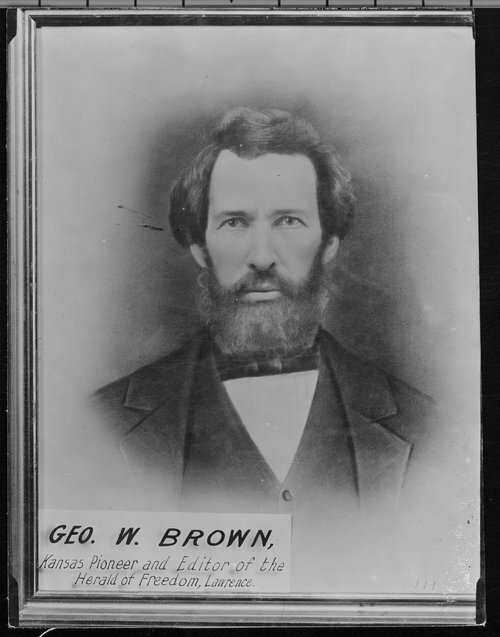 When I was first introduced to Brown at Lawrence, about five of ten months after, and whilst in the room with Brown, Governor Reeder came, and I was introduced as a delegate to the Big Spring convention. Governor Reeder asked me some questions about the Territory and some people in Doniphan. After he asked those questions, he and Brown got up and went out into another room, and stood about twenty or twenty-five feet from me. The door being open full width, I saw them, and overheart part of their conversation. I heard my name in this conversation mentioned. I heard the name “encampment” mentioned, and the words “northern, eastern portion of the Territory,” and the name of Dr. Cutler. The chronology seems strange here. Laughlin dates this meeting to either shortly before or after the Big Springs convention. It can’t refer to an earlier meeting between himself and Brown because his Doniphan compatriots sent him to Brown with a letter of introduction. People known to each other don’t require such things. That Brown introduced Laughlin as a delegate further supports the notion, since he could not have been a delegate very long before the convention itself took place. That means that it must have happened at the earliest around late August, 1855. Five or ten months after that would take Laughlin into January to June, 1856. Laughlin testified at the end of May, so it can’t later than that. But he also told the committee that he had turned back to the proslavery side rather shortly after the convention. By the first of November, Laughlin admitted to a disagreement with a free soil man over his changing politics that ended with the other man killed. Unless Brown transacted secret Kansas Legion business knowingly in hearing of a man he knew responsible for the death of a free soiler, that second meeting can’t have come later than then. Perhaps Laughlin misspoke or a clerk mistakenly recorded days or weeks as months. Regardless, Laughlin reports that the Legion leadership wanted to see him at once. He and Reeder went and the former governor introduced him around, notably to chairman Charles Robinson. Then someone offered a motion for the arming of every free state man with “a rifle and saber and a brace of pistols, gratis” in exchange for an oath to come when called and obey appointed officers. Robinson asked for the motion’s withdrawal and reconsideration “in a more private manner.” After some disagreement, Robinson got his way. As that fits in well with Robinson’s later behavior in Kansas, I take it as likely genuine. Gentle Readers, I’ve decided to do things a little bit differently here. With few exceptions, I keep to a five days a week, one post a day schedule. I also try to keep my posts in the neighborhood of five hundred words, more often going over than under. I didn’t know if I could do that when I started, but it seems that I can. I could do more, but early experiments with my writing schedule proved that sprint sessions followed by irregular breaks did not suit me. I also started without much of an idea what I would write about. Then I began short series highlighting significant events in the antebellum. I thought when I did it that I would reach December 20, 1861 somewhere between two weeks and a month thereafter. I rather fancied hitting the date on December 20, 2012. Five hundred ninety-one posts of that short series later, I have come to roughly early October, 1855. Exploring the antebellum has supplied my need for daily content, taught me a great deal, and occasioned a similarly great deal of fun. None of those things shall change, but I want to try something else as well. Generally speaking, I write five Road to War posts a week. I have intended to cut back slightly on those in favor of other things, either as once a week features or in some kind of rotation. You can tell how well I have realized those intentions with a look over at the archives. But we must all pave our own roads to hell, so with the encouragement of the revered blogfather I’ve decided to turn the Monday posts over to Civil War-, Reconstruction-, and slavery-related issues and events especially relevant to us today. Expect the first Modern Monday tomorrow. after being out about six miles I returned back to Doniphan, where I broke open the seal and read the constitution and ritual for the first time. I did not organize any in the county afterwards. At the meeting at which I was appointed delegate to the Big Springs convention the arguments of Dr. G.A. Cutler, C.W. 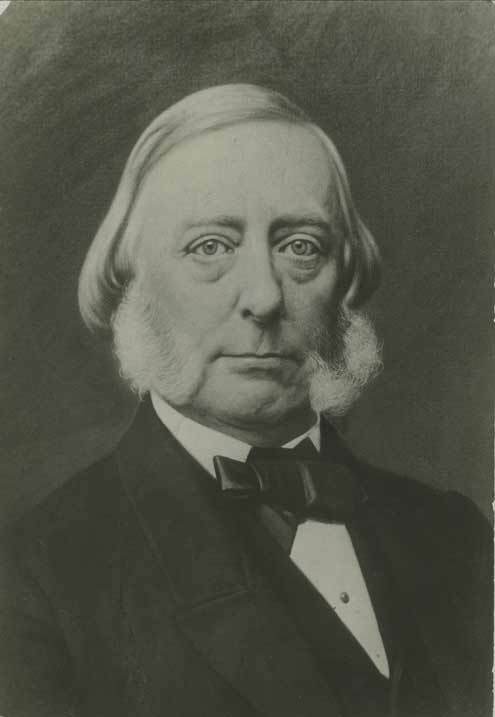 Steward, A. Larzelere, B. Harding, and others, were to urge the necessity of a secret society, something on the order of the Know-nothings, by which they could unite their force and labor more effectually against the pro-slavery party. This idea was received with acclamation by all of them except myself. I being an Irishman myself by birth, was opposed to the measure, as it was too much like Know-nothingism, and told them if they pressed it they would find me their most inveterate enemy. They said they had better do without it; that they were too feeble to have any disturbance in their ranks. According to Laughlin, he got promises from his free state friends that they would found no secret society. His opposition makes perfectly good sense in light of the rise of the Know-Nothings in the middle 1850s and his Irish birth. But then he went armed with that assurance off to Big Springs. 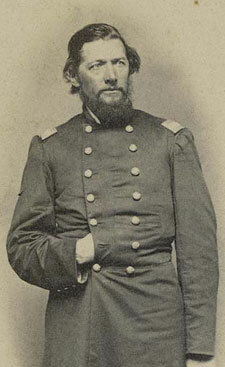 On the way, he delivered a pair of sealed books and oversaw the formation of a chapter of the Kansas Legion. Laughlin says that he broke the seals on the books, but apparently didn’t then read them. Nor did he have time to see the group in Oceana organize itself. What did he think he had done, if not helped form a secret society? Of course, hindsight makes that judgment easy. Laughlin might have just trusted too much in his friends’ word. He says nothing to the Howard Committee about what he believed the books to contain when he went off with the first pair, but he understood himself as forming some kind of covert group at least by the time he came back to Doniphan. He might have missed the significance of his time in Oceana out of haste, but he literally had instructions to do the same job in Doniphan and elsewhere at his leisure and got halfway done before turning back. Maybe it just took that long for his doubts to come to the surface. He could have just gotten too curious to resist opening a book and reading it. When Mr. Brown showed me the rifles at Lawrence he told me that they would continue to send arms, men, and means to make Kansas a free State by force, if necessary. 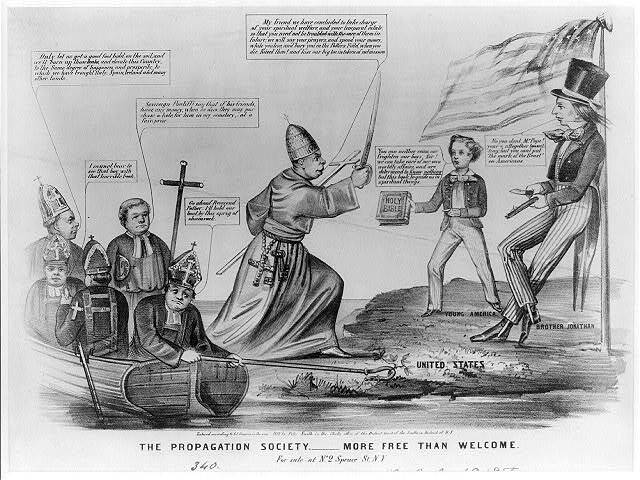 He told me that these arms and munitions of war were sent as dry goods to the agents of the Emigrant Aid Society, who received them and gave them out to the people, and gave as a reason why they were thus secretly sent was that they might not be detected by the United States officers. Laughlin might have imagined the Oceana group as just some kind of local militia with whom his friends communicated. Seeing the arms ready for distribution must have made the affair look far more organized and hierarchical. The fact that an Emigrant Aid Society man, Charles Robinson, Laughlin surmised, had put himself two weeks’ behind schedule to get the guns through in secret couldn’t have helped. Laughlin had an aversion to secret societies and George Washington Brown told him that the society he had involved himself with, wittingly or not, secretly ran guns into Kansas. Brown’s instructions to me was, that when we got thirty men in each regiment we must send a delegate to Boston, but that he must first go to Lawrence, where he would get letters of introduction to the people in Boston, who would furnish him with as many arms as we had men in the neighborhood to bear them, and that we would get them gratis. That makes for rather more than a simple social club. was then shown a good number of Sharp’s rifles by Mr. Brown, who told me they were sent out by the Emigrant Aid Company. Whether the Emigrant Aid Companies had intended from the start to arm militias in Kansas or not, that day Laughlin looked on Benjamin Franklin Stringfellow’s nightmare come to life. The eastern corporation raised military companies in Kansas to fight against the advance of slavery. 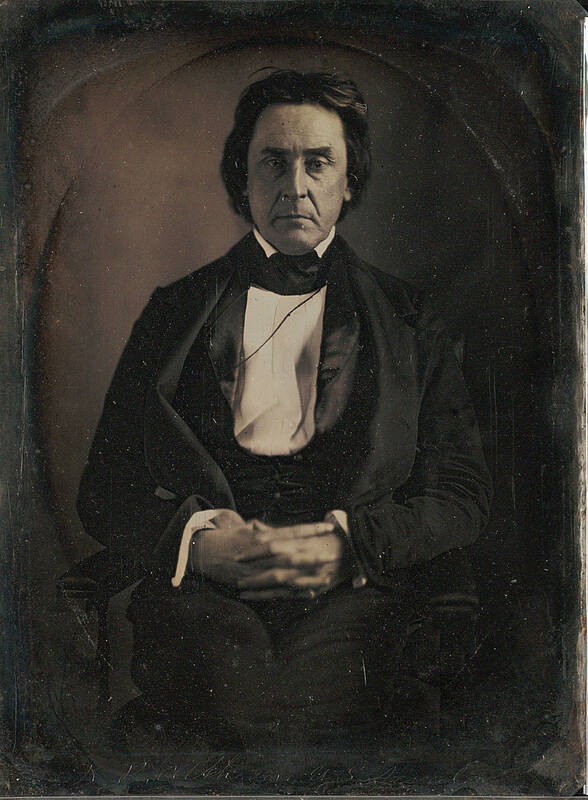 Stringfellow preferred to reserve that privilege to proslavery militias, whether organized in Missouri’s Blue Lodges and Self-Defense Associations or underwritten by the wider South from whom he solicited funds. That free soil men got in on the trick must have seemed downright unfair. Secret oaths and paramilitary politics belonged to slavery’s friends, not its foes. Laughlin, by the time of his testimony a proslavery man again, may have had reason to exaggerate his import. However, every duty he describes seems like one that the free state movement would assign to somebody as part of the necessary infrastructure of building a party. They couldn’t trust the mails, so they needed to make their own arrangements. They needed their own judges of election and deliverers of returns. They certainly needed men to go about speaking for the cause. These books contained the constitution and ritual of the grand encampment of the Kansas Legion. I received them from G.W. Brown, editor of the “Herald of Freedom,” with instructions that I was not to break the seals until I had organized two subordinate encampments, when I was to break the seals, and deliver one package to the colonel of each encampment. I was to organize one at Doniphan, and one in the Territory north of Doniphan, at any place I might think to be a suitable point. Laughlin organized the first encampment on the day he arrived home, breaking the seals and handing over books as instructed. On the way to establish the second group, his third overall, plans would change. I was a pro-slavery man. I heard a great deal of complaint by free-soilers of the laws being violated and people coming over from Missouri to the election; sympathized very strongly with them, and endeavored as far as I could to vindicate their cause. I became notorious in the neighborhood for vindicating their cause, and I avowed myself a free-soiler about the middle of August, 1855. Many people in Kansas could tell the same story. One could accept, perhaps even prefer, living in a slave state and still think that the proslavery party had gone too far in its violent suppression of white republicanism. If one truly believed that slavery made all white men equal, then seeing white men trample the rights of other white men in its name had to raise some doubts. Perhaps in South Carolina, or even Missouri, such things just happened in the natural order and one conceived of them more as defenses of white equality against dangerous subversives. The perceived threat of thousands of slaves about, outnumbering whites, must have made such a calculation easy. Kansas had no thousands of slaves, but rather around two hundred. 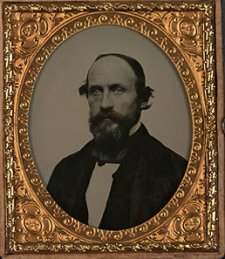 Though William Phillips and others held that Laughlin came into their movement with ulterior motives, always intent on betrayal, his account sounds too much like that of H. Miles Moore, Joseph Potter, and many other Kansans who came lately from slave states to take them entirely seriously on the count. I stopped at Oceana, a place about ten miles from Atchison and fifteen from Doniphan. I went into the store of Messrs. Crosty; I had been told before getting there that these men were Yankees and abolitionists. I went into his house and made known to him my business; he then made me acquainted with a secret military organization, by which he said the free State party was strengthened and enabled to carry out their designs more effectually. who was to gather a company together, and in the presence of this company I was to open the seal around these books. the company was gathered the next morning, about fourteen in number, and I broke the seal and administered according to the directions of Mr. Crosty. I not having time to remain among them, left them to elect their own officers, and organize their company. Laughlin says more, which shall come in future posts, but this already speaks volumes about how much the free soilers trusted him. He took their side deep in proslavery country, the same section of the territory that saw Pardee Butler’s mobbing, and made himself notorious for it. 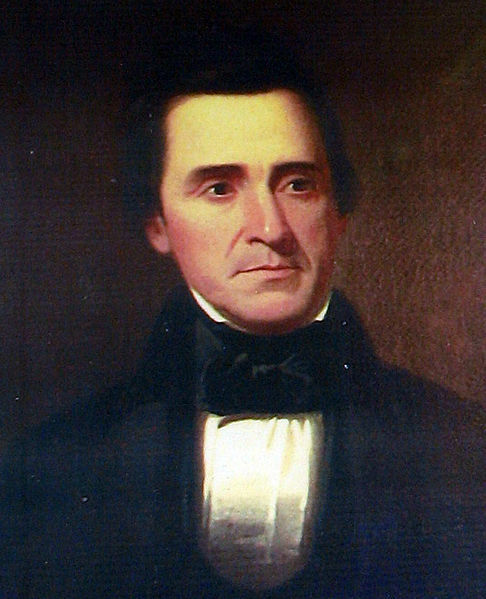 The men who knew him best sent him to Big Springs as their delegate. Along the way they arranged for his induction into the Kansas Legion and then trusted him to facilitate the founding of a local branch. None of this sounds like what one would do for a person one had doubts about. Rather Laughlin seems to have had their utmost confidence.